Homemade Apple juice is a great source of vitamins. It can be drunk fresh, canned, and use as the basis for various desserts and drinks. Have a delicious and fragrant juiceand there is only one drawback – not a very beautiful appearance. However, it can be clarified and made more transparent in the home without the use of special equipment and harmful additives. Select apples for the juice. You can use as one COP, and mix to obtain a harmonious sweet-sour taste. 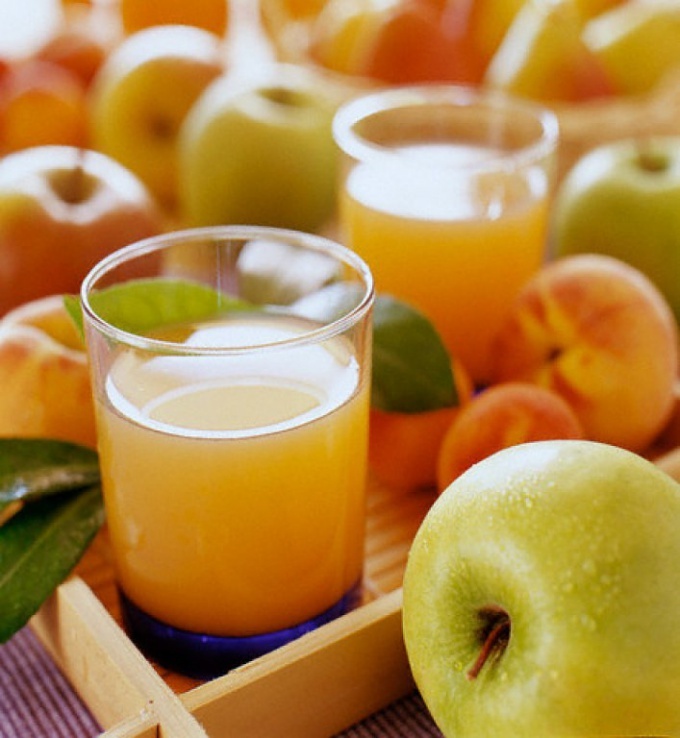 For the juiceand use both cultivated and wild apples. Collect the fruits without any damage, stains and rot, wash them thoroughly in running water, Pat dry and remove the stalk. Cook Apple juice with an electric juiceof awajimachi, manual press juiceof overki. The resulting juice from the first pressing – very valuable raw material with youjuicethem with vitamins and minerals. But in the remaining after manufacture, the pulp still contains a lot of valuable liquids. Fill it with water in a ratio of 10 to 1. Allow the mixture to stand three or four hours, and again pass it through the press. This will result in a weaker drink, which it is better not to mix the pure juiceth, and preserve separately. Proceed to the clarification of the juice. At home you will not be able to create an analogue of the packaged beverage. However, try to make homemade juice more transparent is possible. Let freshly squeezed juicefrom a little stand, and strain it through several layers of cheesecloth. Press the grounds remaining on the filter. Pour the strained juice into a small saucepan and set it in a water bath. Bring the water to a boil and heat the juice for 3-4 minutes. The liquid formed foam, remove it with a slotted spoon or spoon. Quickly cool the juiceby placing a bowl of them in a pot or tank of cold water for two to three hours. At this time, the drink exfoliate – clear liquid gather at the top, turbid sediment will sink to the bottom. Carefully light the top, drain the juice into a separate bowl, using a rubber tube. For lightening machine liquid secondary pasteurization. Repeat heating in a water bath. Hot juice cool at room temperature and strain through a special filter of burlap or several layers of cheesecloth.